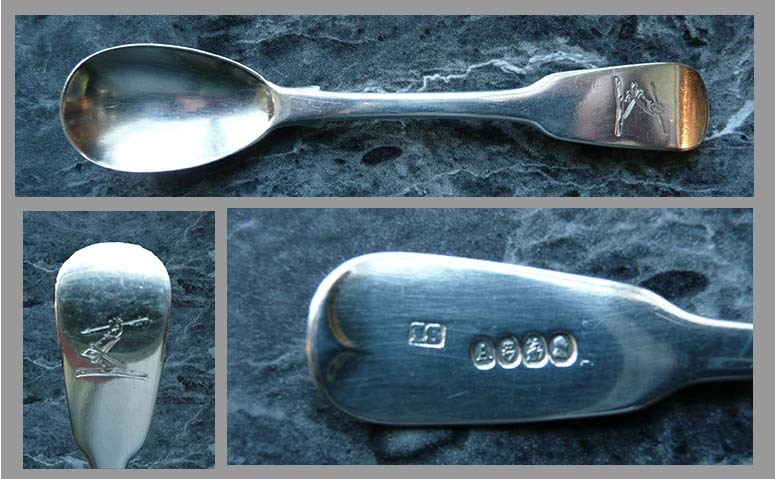 Silver mustard spoon from Tatham-Warter family. Assayed in Dublin in 1821. Note the single arrow.